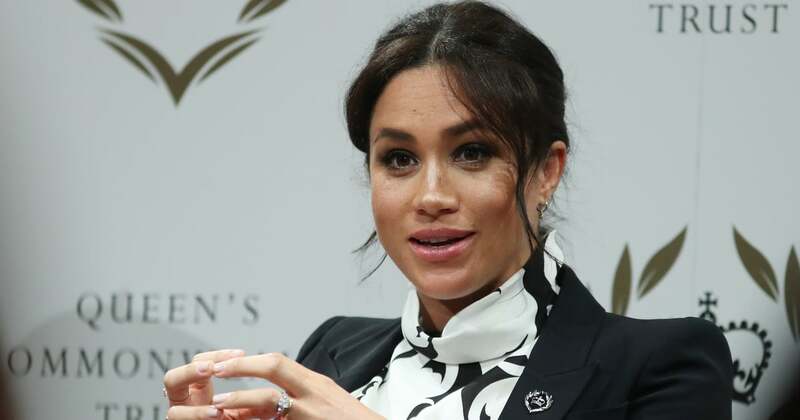 Meghan Markle was front and center for a panel discussion about women's issues at King's College in London on Friday, which also marked International Women's Day. The Duchess of Sussex joined fellow high-profile activists Annie Lennox, Adwoa Aboah, Julia Gillard, Chrisann Jarrett, and Angeline Murimirwa at the event, which was assembled by The Queen's Commonwealth Trust (of which Meghan was recently named vice president). During the chat, Meghan opened up about her history of altruism and philanthropy, retelling the story of how she influenced Proctor & Gamble to change their sexist advertising campaign as an 11-year-old. "Truth be told, at 11 I don't think I even knew what sexism meant," Meghan told the crowd. "I just knew that something struck me internally that was telling me it was wrong." She went on to explain how the triumphant moment has impacted her adult life. "It really set up the trajectory for me to say, if there was a wrong, if there is a lack of justice, and there is an inequality, then someone needs to say something. And why not me?"